It's berry season, which means it's also smoothie season. And you know what that means....berry smoothie time! This recipe is the perfect option if you crave something a little more decadent but also want to keep it ultra healthy and nutrient-packed. 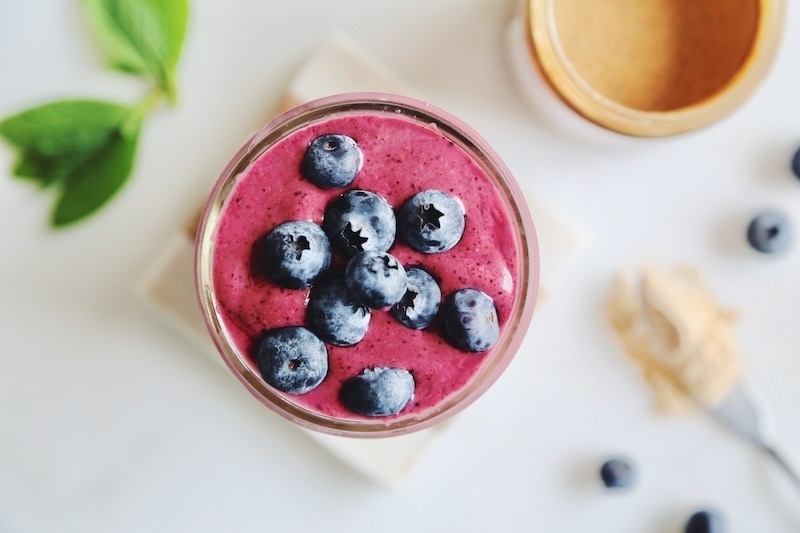 Using Pop and Bottle Vanilla Bean Almond Milk gives this smoothie a more milkshake-like texture and flavor with a hint of cinnamon and additional sweetness from dates. It makes regular old almond milk seem basic. 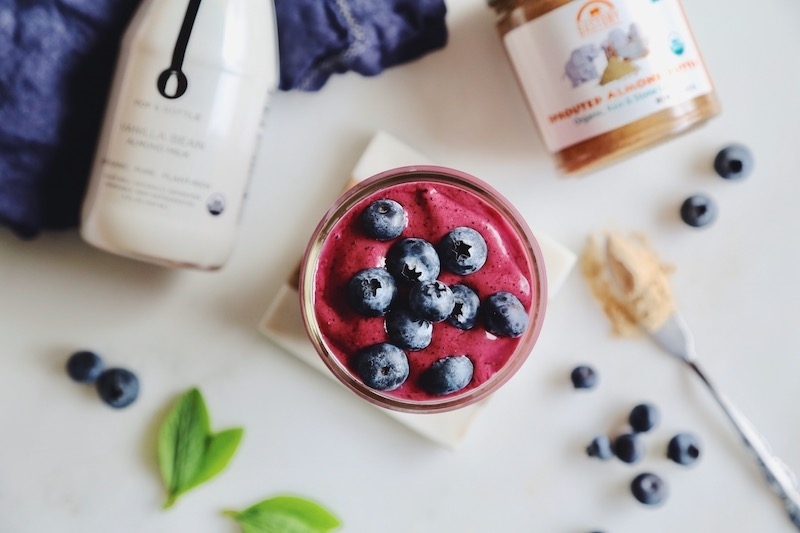 A heaping spoonful of Dastony Sprouted Almond Butter take the creaminess factor to a whole new level and tastes just delicious paired with the vibrant flavor of raspberry and blueberries. And if you're one of those folks who avoid bananas due to their high sugar content (or maybe just don't care for them), this blend is also completely banana-free. Adding just 1/4 of an avocado helps thicken the texture so you won't even miss it. A boost of maca adds a delicious malty flavor and is a great energy-boosting superfood to enjoy at breakfast or as a midday pick-me-up. Packed with a bounty of glow-inducing antioxidants, this blend will also give your body and skin some much needed free radical protection while you soak up that glorious sunshine outdoors. Instructions 1. Blend until smooth. Serve with fresh berries on top, and if you're feeling fancy, an extra drizzle of almond butter.